Anger is a major concern for Stoics, and their attitude about it is often misunderstood, just like more broadly their take on emotions in general is. The contrast here is with the Aristotelians, who claimed that virtue lies in navigating the middle course between extremes. Concerning anger, they thought that the virtuous compromise is good temper, which lies between the unvirtuous poles of irascibility (too much anger) and lack of spirit (too little anger). As we shall see, for the Stoics there is no such thing as a good degree of anger, but it doesn’t mean that one has to be passive in the face of injustice. I will present three posts on this topic, corresponding to books I, II and III by Seneca. This, I think, is a crucial point. 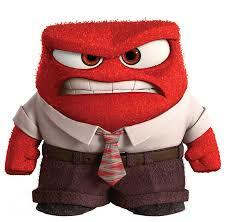 Anger, for the Stoics, is not an impulsive, instinctive reaction. It is, rather, the cognitive assent that such initial reactions to the offending action or words are in fact justified. Anger, that is, is best understood as a form of judgment, either implicit or explicit, that we apply to externals and to our initial, instinctive reaction to such externals. We do not have control over our initial reaction, but we do have control over the subsequent cognitive judgment. At I.4 Seneca distinguishes between anger and irascibility: “What anger is has been sufficiently explained. The difference between it and irascibility is evident: it is the same as that between a drunken man and a drunkard; between a frightened man and a coward.” It is both possible, he explains, for an angry man not to be irascible, and for an irascible man sometimes not to be angry. I.5 inquires whether anger is “according to nature,” the golden standard of Stoic philosophy of action. If something is according to nature, all is good; if not, then we should learn to avoid it. In order to proceed, Seneca has to remind Novatus of what, exactly, he is talking about, while at the same time delivering his verdict: “Mankind is born for mutual assistance, anger for mutual ruin: the former loves society, the latter estrangement.” Anger, that is, is contrary to nature. We need to pause here and reflect what exactly this means, because the obvious objection is that it is, on the contrary, very natural indeed to get angry when one feels he has been injured, physically or verbally. Human nature, for the Stoics, is that of a social animal capable of reason. It follows that to “live according to nature” means to apply one’s reason to social living. Anger is unreasonable, and it damages society, hence it is “unnatural” in the Stoic sense. But surely we ought to do something when a wrong has been done! Yes, and this is how Seneca puts it at I.6: “‘What, then? Is not correction sometimes necessary?’ Of course it is; but with discretion, not with anger; for it does not injure, but heals under the guise of injury.” Again, this is a profound point. Let me demonstrate by means of an example: what is the point of prison? According to some it is, at least in part, to punish people who have committed offenses, that is, it’s about revenge. But the most advanced prison systems in the world — usually to be found in Scandinavian countries — are based on the entirely different axiom that the point of prison is to reform the criminal, to improve him morally, and to eventually allow him to rejoin the broader society from which he is currently excluded so to prevent a recurring offense. That, I think, is perfectly in accordance to what Seneca is saying here: being angry at someone only adds further damage to the situation, while “discretion” allows healing and at the same time recognizes that there has been an injustice. I.12 returns to the theme that anger is not necessary in order to do the right thing: “‘What, then,’ asks our adversary, ‘is a good man not to be angry if he sees his father murdered or his mother outraged?’ No, he will not be angry, but will avenge them, or protect them. Why do you fear that filial piety will not prove a sufficient spur to him even without anger?” This, to me, is a very interesting passage, as it clearly draws the distinction between negative or unhealthy passions (pathē) and positive or healthy ones (eupatheiai), while simultaneously making the point that the Stoics were not trying to suppress (all of the) passions, a common misunderstanding of Stoic doctrine. Another counter of the alleged usefulness of anger comes at I.13: “‘Anger is useful,’ says our adversary, ‘because it makes men more ready to fight.’ According to that mode of reasoning, then, drunkenness also is a good thing, for it makes men insolent and daring, and many use their weapons better when the worse for liquor. … No man becomes braver through anger, except one who without anger would not have been brave at all: anger does not therefore come to assist courage, but to take its place.” I think the second part of this quote is both beautiful and right on the nose, so to speak. At I.14 we see the compassionate side of Stoicism, another of those aspects of our philosophy that is grossly under appreciated: “Indeed, what reason has he for hating sinners, since it is error that leads them into such crimes? Now it does not become a sensible man to hate the erring. … How much more philanthropic [in the sense of loving humanity] it is to deal with the erring in a gentle and fatherly spirit, and to call them into the right course instead of hunting them down? When a man is wandering about our fields because he has lost his way, it is better to place him on the right path than to drive him away.” This, honestly, blows my mind. And notice, of course, the similarities with Christian concepts of piety and forgiveness. In I.17 Seneca comes back to his main target: “Aristotle says that ‘certain passions, if one makes a proper use of them, act as arms’: which would be true if, like weapons of war, they could be taken up or laid aside at the pleasure of their wielder. These arms, which Aristotle assigns to virtue, fight of their own accord, do not wait to be seized by the hand, and possess a man instead of being possessed by him.” Anger may indeed be a weapon, but one that is too dangerous and unpredictable to be trusted. This entry was posted in Psychology, Seneca, other and tagged On Anger on February 9, 2017 by Massimo. I’m with Aristotle on this. I once submitted a paper to Nature with Graham Cairns-Smith, and had it rejected on the basis of one hostile review by a notable figure on whose turf and we were trespassing. I, lacking spirit, just felt very upset. Graham described himself as angry, and wrote a rebuttal to the editor, demanding fuller consideration. The paper was more fully reviewed, published, and well received. Perhaps we need another word (suggestions?) for the justified resentment of a wrong done to ourselves, which stirs us into corrective action but not into a wish to harm the offending party. Graham, incidentally, described himself as a stoic. So, the case you are talking about is similar to the one mentioned above by Seneca, where a son does justice to the murder of his father not because he is angry, but because of filial piety. You may be right that we may need a different word here, and the one I think come closest to it is a righteous sense of injustice. Even your colleague, presumably, didn’t write the response to the review in a fit of rage. He calmed down, maintained a sense of injustice, and used reason to write the best response he could. Seneca would have approved of such a modus operandi. I had a similar experience to Paul’s, in what I think was the third phase of review for a book I was working on. One committee member in his or her report argued that the manuscript had too much attention given to one philosopher and not enough to another, while another committee member in his or her report argued exactly the opposite. The one brought in to made a determination about the translations focused in on the one author (it was a multi-author work) whose prose was very dense and difficult for anyone to translate, rather than the main authors translated in the work. When I got the rejection email from the acquisitions editor, I got mad, and fired off a well-argued “here’s how your committee members are lousy for the job!” response. The editor looked over the reports, saw that the committee members had in fact done rather sloppy work, and if I remember rightly, then convened a separate committee which passed the work and gave me some actually useful feedback, and sent the work on through the long laborious process of publishing. Now, could I have sent it off a similar email doing precisely what Seneca advises, when he counsels that anything good or needed that can be done out of anger can be done by following reason’s dictates as well. But in this case, I didn’t. Other emails quickly decided-upon, written, and sent off under the influence of anger in the course of my career did not have quite such a positive outcome. Had I listened to reason in those cases, I might have done a good bit better! Indignation may be the word we’re looking for. Spurred to action by the injustice, but without malice. And even at that, we let the letter sit overnight before redrafting it, so that the immediate emotional response could be brought under the command of reason. Yes, I’ve had that sort of experience too. And I must say, with Seneca, that on balance my more calmly thought out responses have been far more successful and satisfying than those written and sent out under the influence of anger. I think Seneca is here talking about the strong form of anger which is “hideous and wild”. Why would we have this response that frequently comes to the surface if it were not in some way useful? I’d guess that it might be useful in situations of extreme danger to overcome being paralyzed with fear. Lots of things are natural for human beings but are not very useful, and are indeed dangerous, like our instinct for xenophobia, for instance. I assume the thinking is that our emotions have evolved along with us following Darwinian forces. However, the laws of Darwin point towards survival of the species not eudaimonia. So indeed anger may have a role ( or had a role) in survival but not a useful tool for Stoics who use reason and have a goal higher than just ‘surviving’. Thank you for sharing this. I have been discussing stoicism and anger with my adult son (who doesn’t study stoicism) and have been having trouble explaining that while I rarely get angry, that does not mean that I am a door mat. Sharing this piece with him was just the ticket. My mantra is feel it then deal with it. All emotions serve to motivate action and strong emotions serve to motivate strong or urgent action. The question always is this – has it motivated the right action? Emotions rise unbidden to the surface of the mind. Once there we must deal with them, but how? Take a moment to recognise the emotion and label it. That is your emotion, own it and affirm it because that helps to dissipate it. Tame the emotion, bringing it under control by examining it and resolving only to act after reflection. Do not react immediately to the emotion. You need to buy time for reflection. Reflect on the causes of the emotion and the probable consequences. Ask what the wise response is, in accordance with the situation, guided by the virtues. 5) Resolve to act on it wisely. Having felt the emotion, resisted it, subdued the reaction and reflected on the wise course of action, it is time to act on it, or possibly, not to act at all. We may act passively, temperately, determinedly, persistently, vigorously or passionately, but always in accordance with wise reflection. Having felt the emotion and dealt with it, pack it away and do not ruminate. Rumination keeps harmful emotions alive and in the foreground of the mind where they continue to do harm. Preparation is half the battle. Think about the situations and resultant emotions that may confound one and decide beforehand your probable course of action. When the situation does arise you are prepared. Do a post-mortem. It is a form of rehearsal that prepares one for the future. Ask how well you responded and what you can learn for the future. That then is the template for how I deal with emotions such as anger. I often disappoint myself but I do make progress.